Recently Ray and I found out that a Christian couple we know are seperated and possibly divorcing. 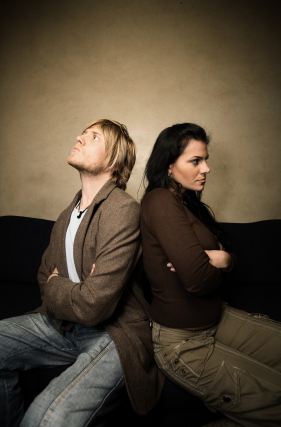 The rate of Christian couples divorcing today is now significantly higher than for other faith groups, according to the survey done by the Barna Group in 1999, interviewing 3,854 adults from 48 contiguous states. While this survey has received some criticism, what they did discover was very troubling about current trends in marriage. What a sad testimony to us as believers who have the hope of Christ within us! This is not spoken from a viewpoint of judgment, as I have been through the difficulty of divorce, too. Sometimes marriages fail. In those impossible situations, we need to go straight to God’s arms of love and forgiveness, to receive healing and restoration of our shattered lives, and our children’s. However, as I highlighted in bold in the previous paragraph, Christians are not living lives of distinction. Yet we are supposed to be light and salt to a lost and dying world! Furthermore, the Church is failing to be a place of healing and ministry to those who have gone through the terrible pain of divorce. The ultimate responsibility, then, belongs to the husband and the wife to make their marriage work over the long haul. To be an example of Christ and His bride the church. To love, honor, and respect one another. Their homes to be a safe haven for themselves, their children, and those around them. You can read more on marriage commitment and tips for marriage in my articles, Marriage Is A Marathon and Marriage Tips. Nina Roesner has written a very practical, encouraging book on marriage, The Respect Dare, teaching women to respect and honor their husbands – which brings about incredible results in their marriage. The bottom line is that our husbands just want respect, and women just want love. Malia Russell of Homemaking 911 has two wonderful cd’s for sale on her website on marriage, Marriage 911, and Beverly Bradley’s teaching, Becoming Your Husband’s Helpmate. Both are reasonably priced, and will inspire and encourage you in your marriage. Malia also has great homeschool products for sale, such as The 2009 SchoolHouse Planner E-book and Creating a Rich Environment and a Fun Place to Learn E-book. Malia is an excellent writer and speaker. Be sure to check out her insightful articles on her website, on topics ranging from marriage, freezer meals, home organization, to the difficult child. Just click on the link below to find out more information about Malia’s products.